Especially driven by developments in our smaller communities, Northern Colorado saw a huge resurgence in new home construction from 2016 to 2017 that has continued into 2018. As a result, our communities boast a great inventory of brand new custom homes and creative constructions that have developed into NoCo dream residences. 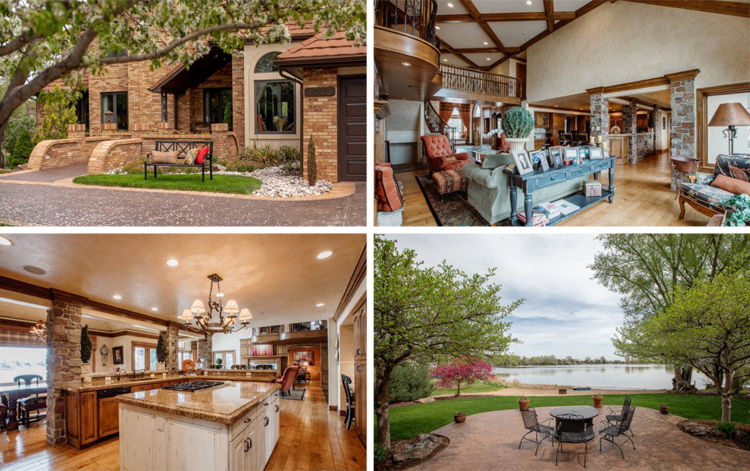 We rounded up a few of the region’s most stunning custom homes that are on the market right now. Featuring design styles that include industrial, farmhouse and even Tuscan, this round-up shows off homes you won’t see replicated anywhere else. Enjoy! 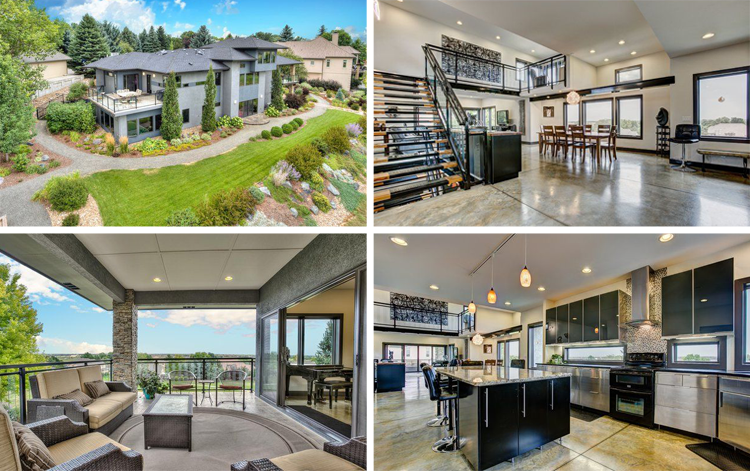 Located on one of Harmony Club’s best view lots, this luxury home backs to the 8th fairway with incredible views of the mountains, city lights and Timnath Reservoir. And the custom features are shown off before ever stepping inside. The circular driveway leads to an impressive front courtyard complete with patio seating and a fountain. Step through the front door and get ready to be wowed. Backing to open space, this contemporary home blends modern design trends and luxurious amenities with a cozy and welcoming atmosphere. From the stunning exposed wooden staircase down to the wood ceiling inlay in the ceiling, no detail has been overlooked. And while we’re in the kitchen, check out that gorgeous, white island! 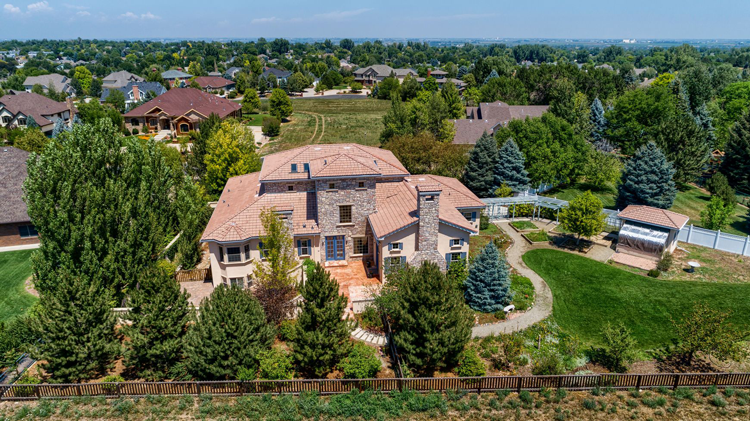 Featuring unexpected surfaces, designs and luxuries around every corner, this dream home in Fort Collins is truly one-of-a-kind in the best possible way. The main floor boasts a wide open floor plan, polished concrete floors and exposed staircase for an airy, industrial feel. Accented by sleek stainless, black, quartz and wood surfaces, this home is a design lover’s dream. 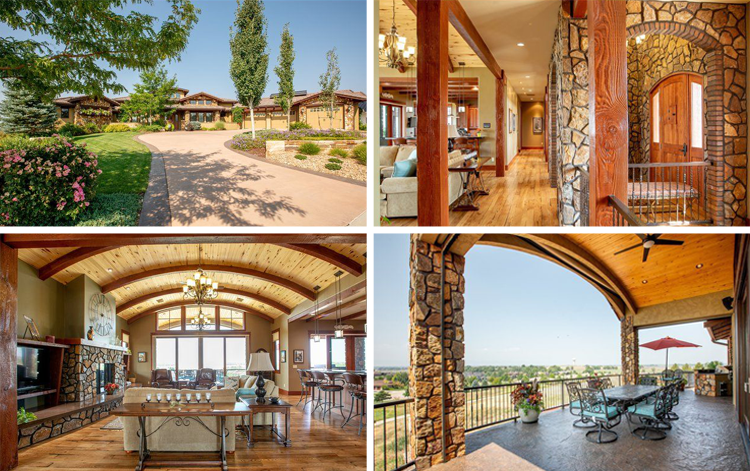 This one-of-a-kind home in Greeley brings true Tuscan charm to Colorado. That charm includes two outdoor courtyards with custom stone seating, beautiful blue color accents and a heated greenhouse. Inside, you’ll find even more luxuries in rooms like the gourmet kitchen with a walk-in pantry, the library with a fireplace, and all four bedrooms with walk-in closets. The luxe features throughout this custom-built home include a gourmet kitchen with granite countertops, knotty alder cabinets and stainless steel appliances, a stunning floor to ceiling stone hearth in the living room, a main floor study and guest suite, and more! 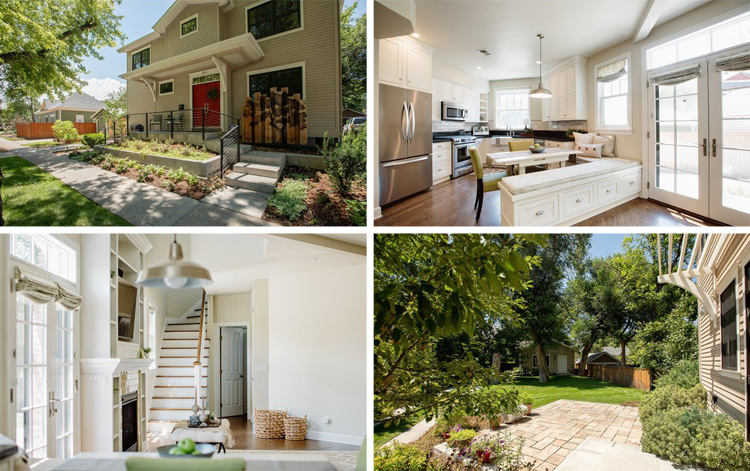 Perhaps one of the most interesting properties in downtown Fort Collins, this custom build uses its unique shape to its advantage to optimize on outdoor space and create an open, flowing floor plan. The main floor includes a great room with a floor to ceiling fireplace, a sunny kitchen with granite counters, Schroll cabinets and stainless steel appliances, and a luxurious main floor master bedroom. This custom home on Lake Sherwood is complete with a sandy beach and multiple outdoor living areas where you can enjoy the water view. Inside, the design contrasts the outdoors beautifully with deep and dramatic colors, woods and stone accents. But the elevated ceilings and huge windows still create plenty of the natural light and an open, welcoming atmosphere. This sprawling ranch is situated on a private homesite which backs to the views of Harmony Club. 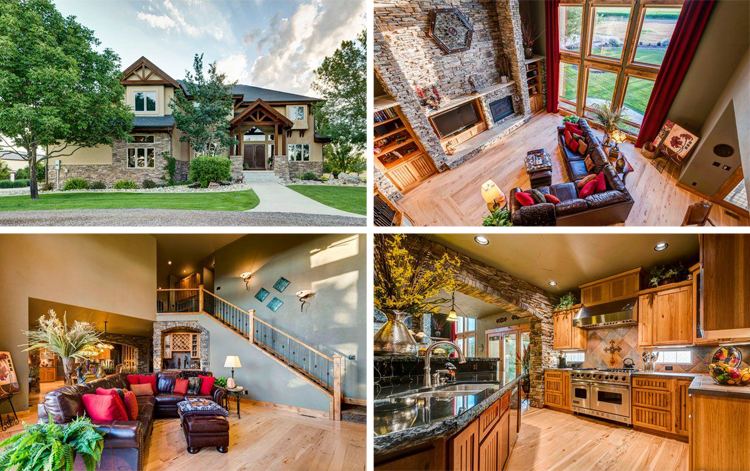 Handcrafted by PJL Schuman, the home features rich Colorado character throughout, including tongue and groove beamed ceilings, wide plank wood floors, a gourmet kitchen with custom cabinetry, a huge granite island and a farmhouse sink, as well as a built-in wet bar that makes entertaining a breeze! 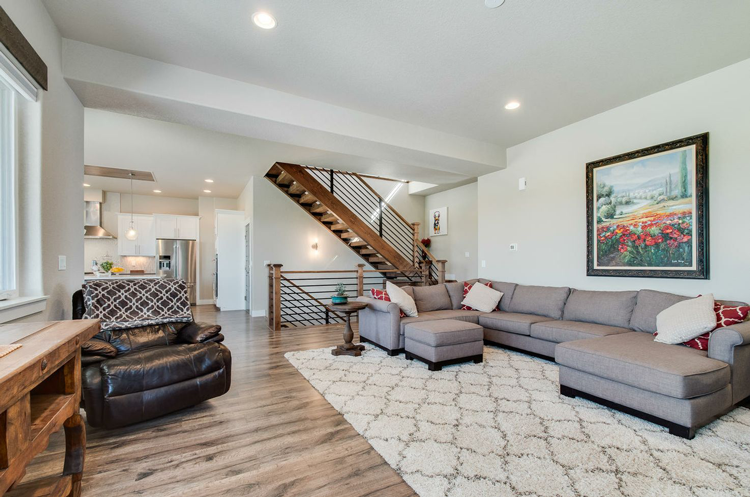 Custom-built for elegance, this Fort Collins home is sure to impress you from the moment you step foot in the entry and continuously as you see each and every room. One of our favorite areas is the kitchen featuring its own fireplace, two sinks, gourmet appliances, and a huge island that overlooks the backyard and living room. Stunning! Did you fall in love with one of the homes on our list? Let us know in the comments below or contact us directly to get more details! 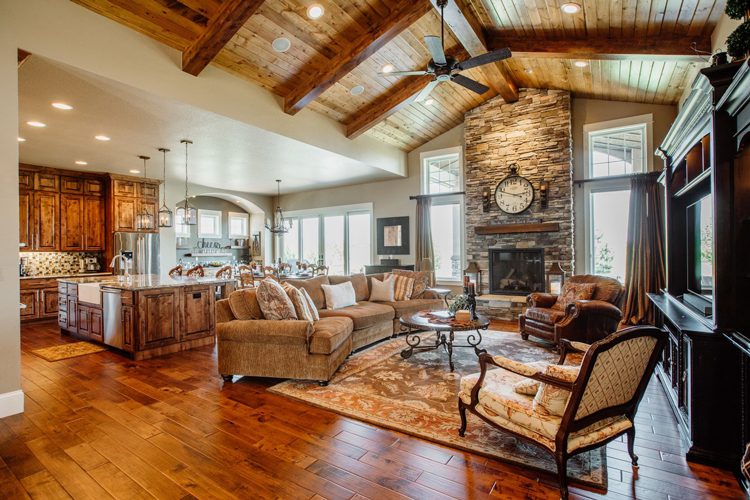 To find even more homes in communities throughout Northern Colorado, use our home search.